These Die Hard infographics were entertaining and this has prompted More Than insurance to follow up by making their own Die Hard infographic based on John McClane's activities over the years! - costs for personal liability insurance, car insurance and the total. 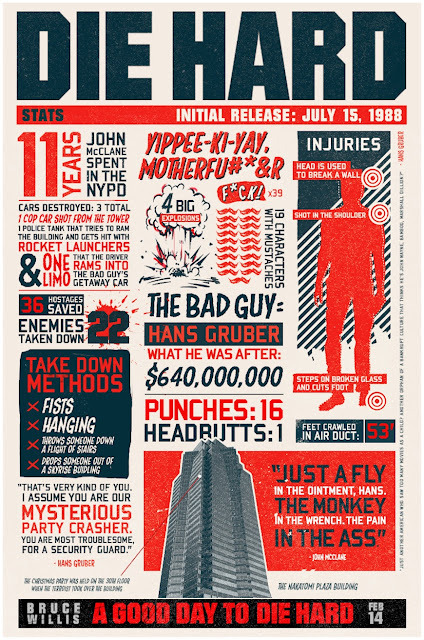 The More Than / A Good Day To Die Hard insurance infographic is great example of how to develop brand related content whilst capitalising on a trend!